and in the case of these have had a famous or infamous resident. her home away from London and her artistic retreat. She left the house to the National Trust. ​Stonehill House in Sussex is described as the perfect timber framed house. It was once home to J.M.Barrie for 15 years after he had written Peter Pan. 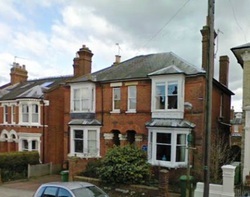 8A Victoria Street,Eastwood, Nottingham is the birthplace of DG Lawrence who was an English novelist, poet, playwright, essayist, literary critic and painter. 251,Menlove Avenue, Liverpool is now a National Trust home where John Lennon of the Beatles lived during his youth from 1945 to 1963 The house belonged to Lennon's Aunt Mimi who took John in at the age of five, after his mother,was persuaded that it would be better for Mimi to take care of him. Johns mother was run over by a car and killed in front of this house when John was 17. He remained there until mid-1963, when he was 22 years old. 20 Forthlin Road, South Liverpool is a National Trust property and the house in which Paul McCartney had lived for several years before he rose to fame with The Beatles. ​In the heart of London, is Benjamin Franklin House nearly sixteen years between 1757 and 1775, Dr Benjamin Franklin – scientist, diplomat, philosopher, inventor, Founding Father of the United States and more – lived behind its doors. Built circa 1730, it is today a dynamic museum and educational facility. Dr Johnso'ns house is a charming 300-year-old townhouse, nestled amongst a maze of courts and alleys in the historic City of London, The writer and wit, lived and worked here in the middle of the eighteenth century, compiling his great Dictionary of the English Language in the Garret. birthplace of arguably Britains best known and most loved comedy actor and clown Norman Wisdom. 287, Kennington Road, London SE11 was once home to Charlie Chaplin. Destined to become the most well known and famous star of early cinema he lived in awful poverty here and at the age of seven was sent to a workhouse and then a paupers school when his mother was committed to an asylum. Actor, comedian and Goon Peter Sellers was born in this house in Castle Street, Southsea, Portsmouth. Sellers' parents were vaudeville entertainers, and at two days old, Sellers was carried onto the stage at King's Theatre,Southsea. Where would you expect to meet George Frederick Handel and Jimmy Hendrix side by side? In Brook Street Mayfair is the answer - Nos 23 and 25.. Twin blue plaques on the outside wall pay tribute to the extraordinary flatmates separated by two centuries.Handel lived there for almost 40 years and wrote the Messiah there and died in the first floor bedroom in 1759. Hendrix arguably the greatest rock guitarist lived there for two years from 1968 until his untimely death. ​Keats House, or Wentworth Place as it was originally known, was built in 1814 by William Woods, a local builder and completed in 1816. Originally two separate houses, the larger side of the property was first occupied by Charles Wentworth Dilke and his family, while the smaller, eastern side was occupied by Charles Brown. 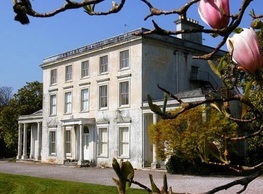 It was to Brown’s side of the house that John Keats came to live in 1818, staying here for just 17 months before travelling to Italy where he died. Many of the photos contained in site are original and copyright tracemyhouse. Some have been copied and wherever possible the owners permision has been sought to use them and the ownership is acknowleged but in certain cases this has not been possible because we have been unable to find a link or is an oversight for which we apologise unreservedly and welcome feedback so we can put matters right.